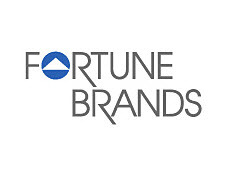 Fortune Brands. Breaking Up Is Easy To Do. What do Jim Beam, Moen Faucets, Master Locks and Titleist golf balls have in common? The letter “e?” No. They are all owned by Fortune Brands, a public company with $6.5 billion in annual sales. It was announced yesterday that Fortune Brands will be split into 3 companies: House and Hardware will be one public (stock) entity, Spirits will be a new company (private), with Maker’s Mark, Canadian Club, Courvoisier and Laphroaig in its liquor cabinet, and Titleist the smallest revenue producer, which will likely be sold. These are all very nice brands. Consumers know these products and have seen all supported by strong brand management over the years. Pershing Square Capital Management recent took ownership of 10.9% of Fortune stock and, in the driver’s seat, has decided to enforce the trivestiture. Normally this type of thing is seen as raiding and is all about making a quick buck, but the value of these brands makes me think this is not going to be such a bad thing. Each of the three entities will have greater product and consumer segment focus. Management will be able to tighten up its obs and strats, with consumers not feeling a thing. A history of strong brand management is the legacy of the current Fortune board and its forbearers. All brands should do well and be revived. Peace! Previous articleTV is back, baby. Next articleStern Points to iTunes Future.